I did manage to get out last week on Wednesday to use up some dead baits from the chew trip. River low and clear but still caught a few pike but only jacks. I’m sat here now and the rain is falling however it’s not to last long and further east on the upper Bristol Avon hardly any fell during the afternoon and evening as I went about my business. There was plenty of flooding in Devon and Cornwall plus south Wales but the rain hasn’t gone far enough east to help the BA catchment area. I first started fishing a good swim with a few chub around the 5lb mark. 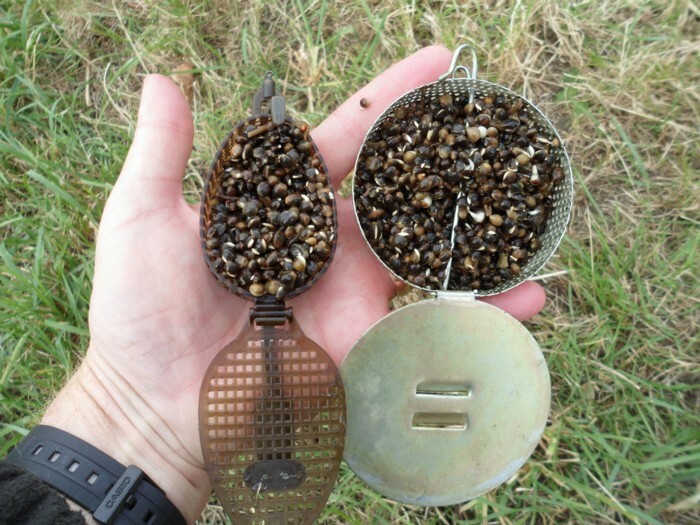 I put out the caviar of chub bait casters and hemp via a bait dropper. I wanted to leave the swim for 30 minutes or more so I baited up a barbel swim just with hemp for later in the evening. I normally don’t use the shinny ones as they tend to attract the pike on the retrieve. I lost the old black one and it needs replacing. The wind was extremely strong from an unusual south east direction. It was so strong at times it was uncomfortable. Debris fell from the trees and leaves filled the river. On returning to the original swim I could just about make out 4 chub feeding on the baited area, however normally there are many more, they were not feeding confidently. I suspect that some of the shoal had been caught over the weekend. The other disappointment was that I was looking forward to seeing the chub reaction to the swimfeeder and the plastic casters however the wind was so strong the ripple distorted my vision. I could just make out the odd black shape but couldn’t see the fishes reactions, so I called it a day in that swim and moved to the barbel swim. I’m just starting to introduce my winter boilies into the swims I’m going to fish to get the fish used to feeding on them. It wasn’t long before I had two rods out on the hemp area one with pellet and a PVA bag, the other my boilie with a few in a bag. In about 1.5 hrs I had 6 chub to just under 4lbs and guess what all of them fell to boilie approach. 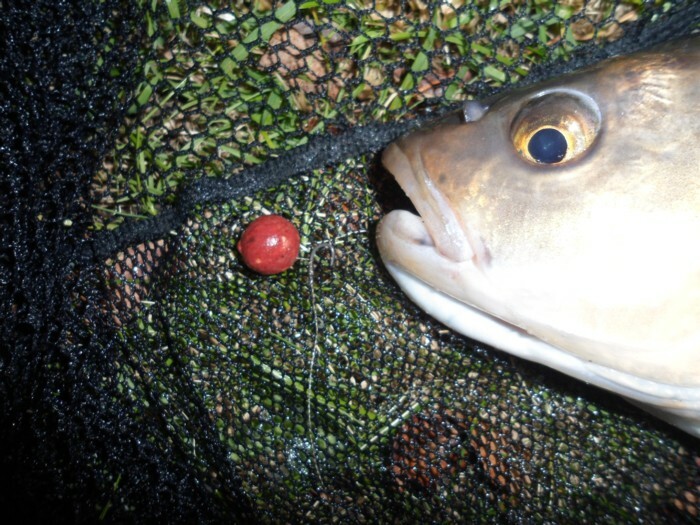 I continued to fish until dark and wasn’t troubled by the barbel. I’m out again later in the week and only hope the flow of the river increases, it might just have a tinge of colour too!!!! This entry was posted on Monday, October 24th, 2011 at 8:45 pm	and is filed under Uncategorized. You can follow any responses to this entry through the RSS 2.0 feed. Both comments and pings are currently closed.